Happy Thursday! We have been dealing with some serious heat in STL, so airy dresses have been on repeat! Sandals are another one of my favorites in the summer! I spend a majority of my summer in sandals. There are so many gorgeous styles! Come share your sandals with Elle and I! 1. 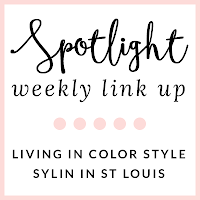 We kindly ask that you follow the two hosts: Elle from Living in Color Style, Jacqueline from Stylin' In St. Louis, and our guest host Shannon of Much. Most. Daring. 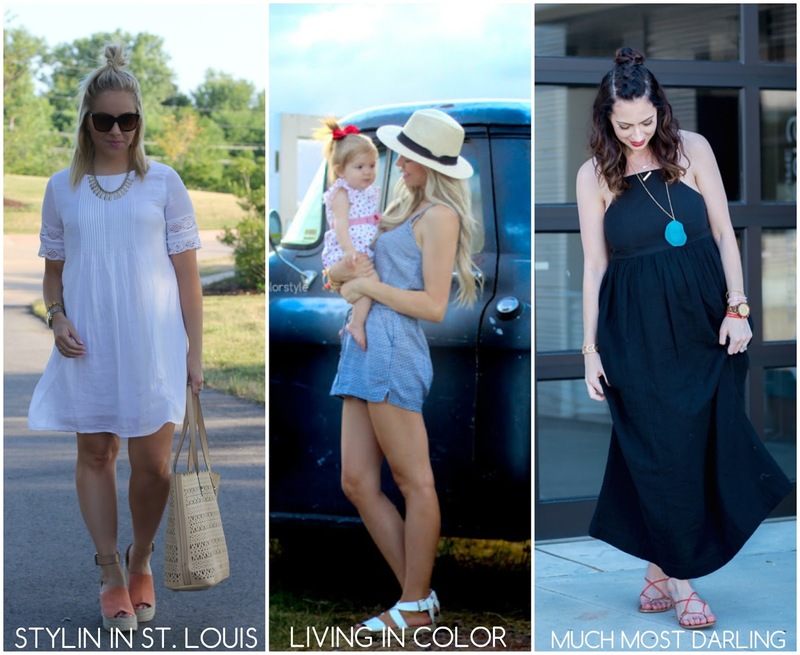 Spotlight: Our spotlight of the week is Kim of The Knotted Chain! We love Kim's colorful striped top! It is such a cute style and perfect for summer! Such a great look for summer! Be sure to check out her blog! Next Week: Next week our spotlight weekly theme is red, white, and blue! Thanks for linking up! See you next week! That little dress is so cute and love these wedges. In love with these platform wedge sandals and they are perfect with your white dress! I need a pair of wedge sandals like yours. 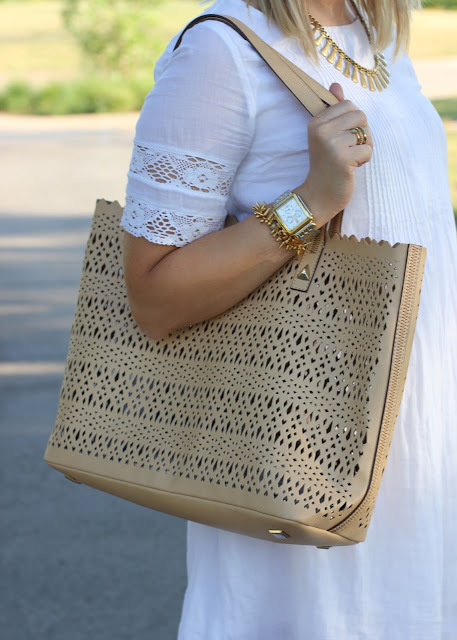 That dress looks light and airy and I'm in love with your watch and bag! Your sandals are fabulous! And I am loving this white dress! Gorgeous! Thanks for hosting the link up. 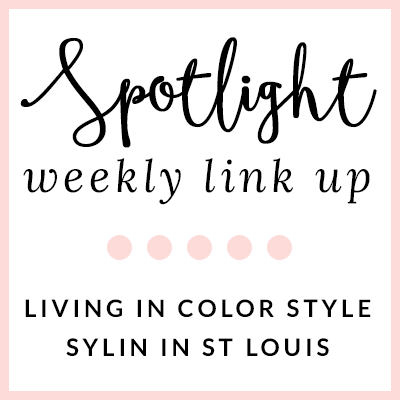 I would love if you stopped by tomorrow to join my new Friday link up as well! Those wedge sandals are so cute! 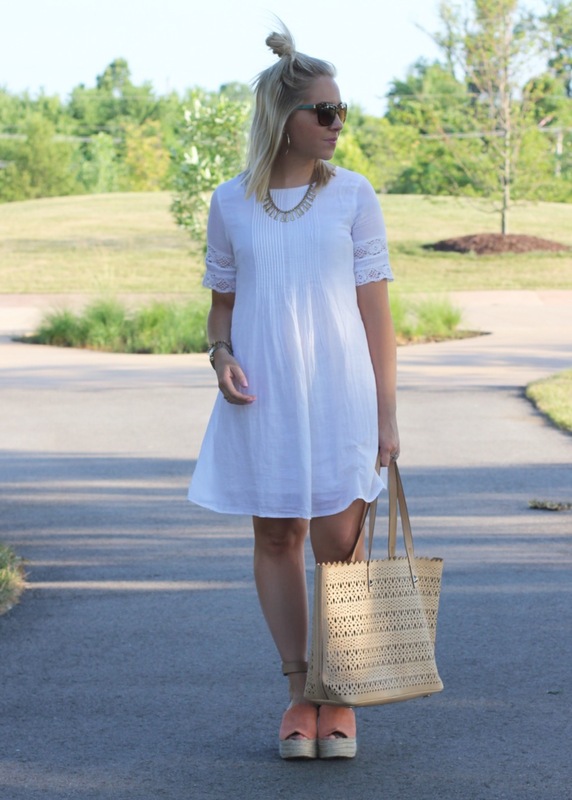 Your light and airy dress is perfect for a hot summer day! Thank you for the linkup! This look is so cute!! I love your hair like that! You look divine yet cool in that LWD - love those wedges too!!! Come check out how I welcomed Summer at the blog in a boho-inspired look - Happy Thursday! Dresses and sandals are always my go to in the summer as well. I have that same pair in the tan, and I LOVE them! Love your easy white dress- so pretty! I am in love with this dress. It reminds me of one I saw at Aritzia last week... now I need to have it. You look gorgeous!! Such a cute little white dress! Those shoes are so perfect for summer! 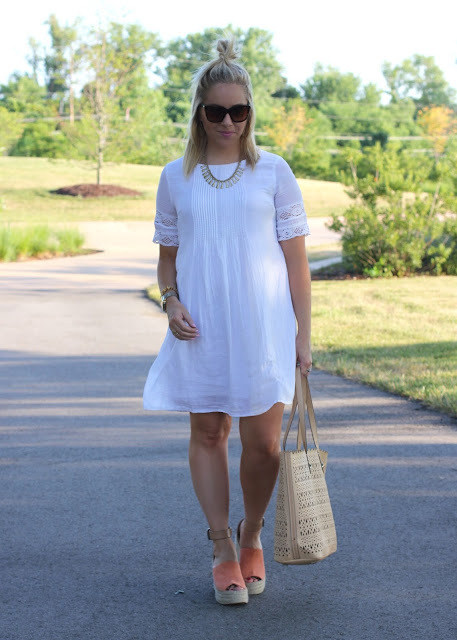 I'm obsessed with these wedges, and love them with your LWD! Such a perfect summer look. Beautiful, loving this stunning dress on you. Love this soft, feminine look! Nothing better than a great white summer dress. Great look! Thank you for hosting. Make sure to come on over to Style Nudge to link up on The Shoe and Tell Fashion link up, NOT just for shoes!! Such a darling dress!I Love the details! So pretty! 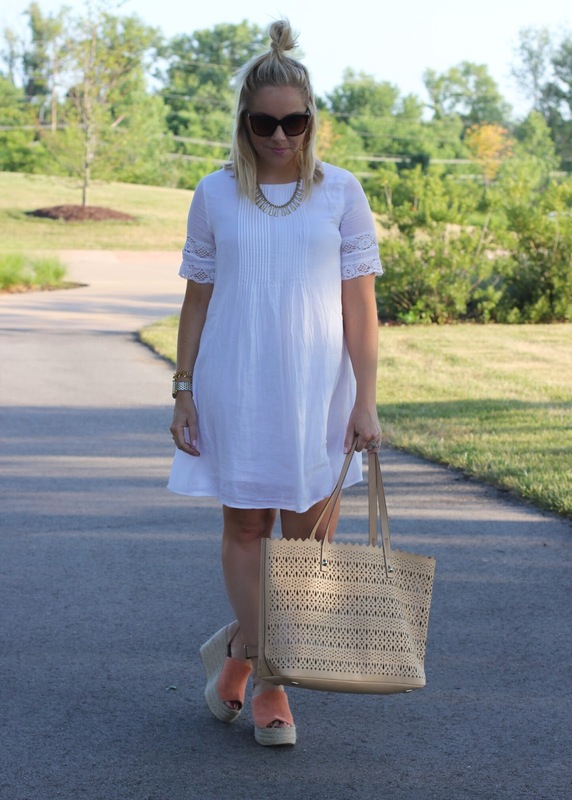 A perfect LWD! Oh and I would love for you to join my Project Sister Act Link-Up too, if you have a moment. It goes live every Friday and this week focuses on bared shoulder(s). Aww wow, such a lovely lace dress, almost ethereal, and you look like a beautiful fairy! Gorgeous dress! I love your look! So chic! First off, this white summer dress is just amazing! LOVE IT! And your wedge espadrilles pair beautifully!